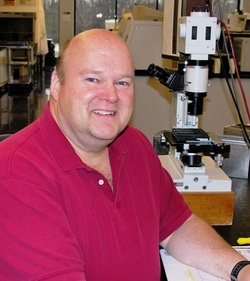 By day, Bascomb James is an unassuming clinical virologist living in Ann Arbor, Michigan. His daytime persona has authored or edited four scientific textbooks and a bushel of scientific articles and chapters. Bascomb's nighttime persona is an author, editor, and a diehard science fiction fan. Mr. James is the anthologist and editor of two Far Orbit anthologies published by World Weaver Press. The first Far Orbit volume, Far Orbit: Speculative Space Adventures was published in 2014 and has garnered many outstanding reviews. The second volume, Far Orbit Apogee was published in October, 2015. He was also the guest editor for the Hyperpowers military and space opera anthology published in May 2016 by Third Flatiron Publications. A science-fiction fan since childhood, Bascomb credits his interest in science, engineering, and invention to the science fiction stories he read as a child. Bascomb tweets occasionally @BascombJ.